We wanted to remind everyone about our upcoming Seminar at The Center For Women! Also joining us is Ayoka Lucas from Charleston Magazine! She will be dishing out her expertise on STYLE...how to be fabulous on a frugal budget! It's time for a little change! As the seasons change so do our skin care needs. Spring and Summer bring on the heat, humidity and sun! Lately my skin has been wanting to lighten up a little on daytime moisturizer. 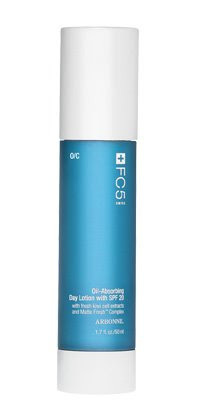 Abrbonne's FC5 oil-absorbing lotion with spf 20 is the perfect option. It's packed with antioxidants as well as sun protection. This product leaves your skin feeling refreshed not parched! Let's lighten up for the spring and summer! We are always asking to hear about "your favorite products". Arbonne International comes up in conversation quite a bit. Intriqued by it's popularity and pure approach to beauty, I recently had the pleasure to attend an Arbonne party. It was incredibly informative and my consultant, Tricia Nutting, provided me with a sample pack of the NutriMin C RE9 line to try. I was also able to get my hands into the makeup and "painted" a fellow party goer. I instantly loved the products. The smell alone is fabulous, like fresh cut oranges. This anti-aging line is packed with goodness like vitamin C, Alpha & Beta Hydroxy Acids & Copper! My favorite product of the line is the NutriMin C RE9 Corrective Eye Cream. I instanltly saw results in moisture level and fine lines. If you are interested in trying Arbonne Interntional products check out their website or call your local representative.